Reach highly-qualified targets. Chances are if travelers made it to the EK website, they’re interested in a Kissimmee vacation. Presence on the official website gets your business in front of audiences that are more likely to take action. The destination sees 8.6 million overnight visitors each year with over 3.8 billion in annual visitor spending. See higher levels of interaction. Visually stunning Native Ads draw audiences in and see higher engagement than standard Display Ads. All ads are mobile-friendly—no matter where or when travelers search for information, it’s right at their fingertips. Capitalize on EK’s investment. EK invests time and resources into bringing valuable new and returning visitors to the website year-round. 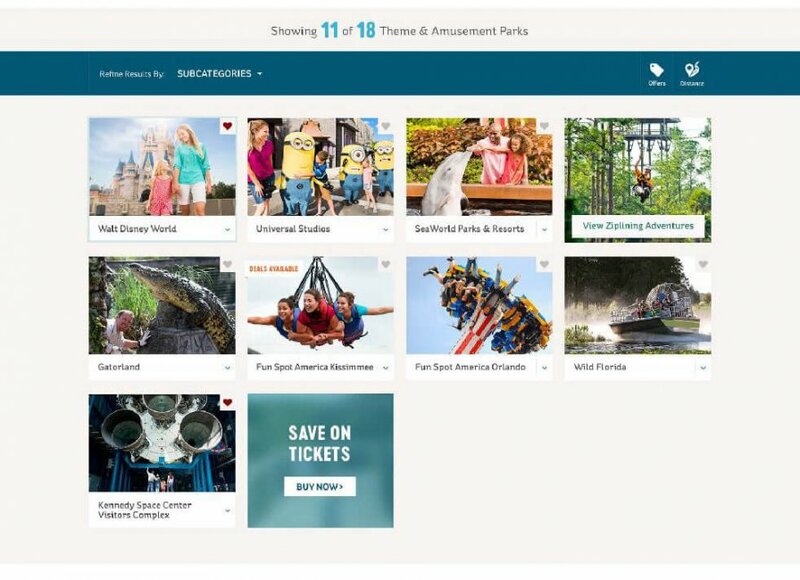 Over 2.5 million user sessions create 2,500,000+ opportunities to wow audiences. 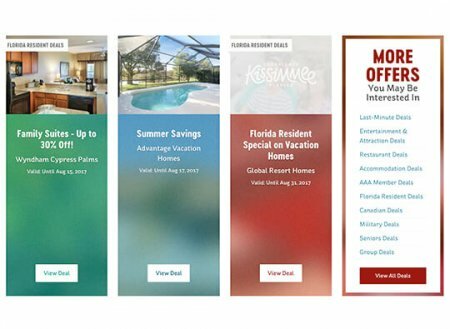 Kissimmee’s three-tier marketing approach spurs dreaming of visiting the destination to booking their stay. That’s where you come in. 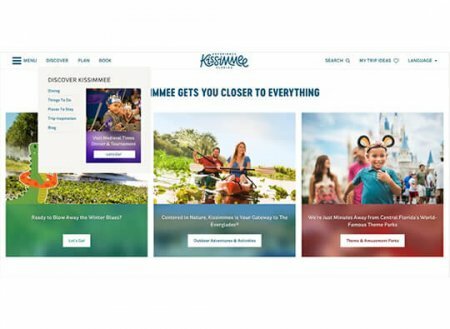 When consumers start their research phase, ExperienceKissimmee.com becomes a valuable resource, and we are pushing them toward our partner web pages for additional information. Increased traffic. EK campaigns regularly drive traffic to their site, which means more views for your ads. 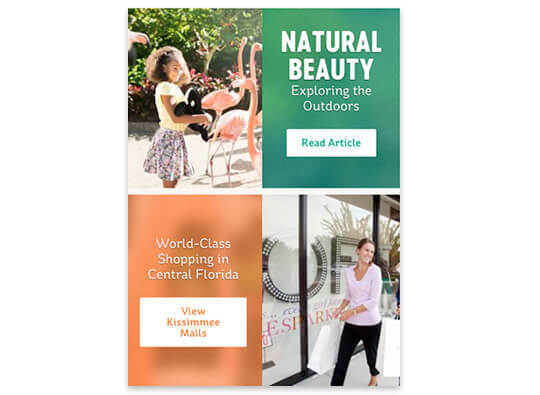 Through those marketing efforts, EK has delivered more than 19,000 personalized product and content recommendations per month for deeper engagement and higher relevance for visitors. What does this mean for you? Awareness of your brand and increased traffic to your page with an ad on the EK website. 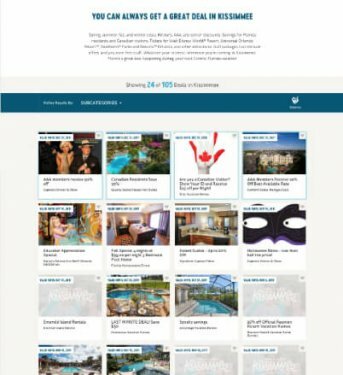 When travelers click on Discover site menu, they’ll see your brand. Keep your business top of mind as site users get ready to take action. Featured Offer. Only a limited number of this ad type are sold and displayed, so you’ll see better placement and engagement. Featured Listing. Want your listing to appear above the rest? Choosing this option puts you at an advantage. Featured Event. With so many cool things to do, the best way to make sure audiences know about your event is to make it a featured event. 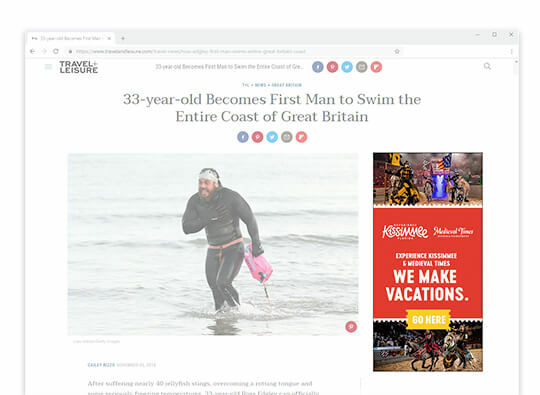 With premium placement and more page real estate, a Home Page Panel Ad gives your business the opportunity to get noticed by travelers before they dive deeper into the website. Default Ad. Your ad appears within the “masonry grid” before the user self-selects an interest—meaning your ad is seen first and doesn’t require a click to be seen by the user. Triggered Ad. After the user self-selects an interest, your ad displays when the interest they select matches your targets. Connect with EK’s audience after they’ve left the website with our remarketing campaign. 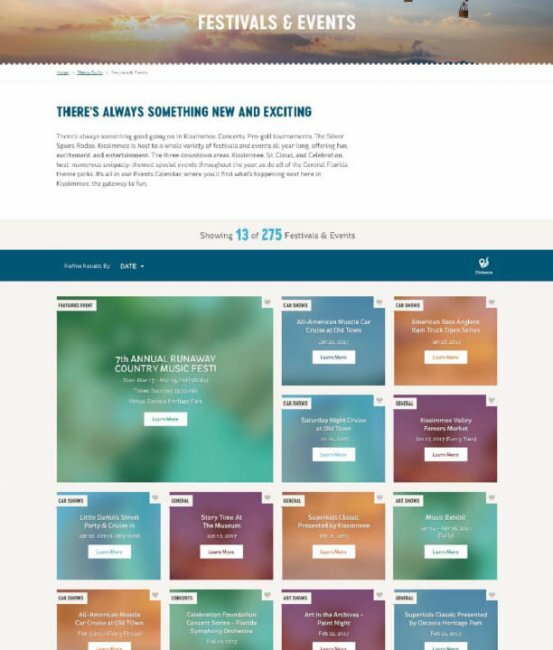 Combining your vivid imagery and strong calls-to-action are our specialty, making your ad stand out. Madden Media’s experts are here to help you every step of the way. Not sure where to start? We’ve got you covered. The following packages are available and will be customized to the best placements and targeting based on your business type. Minimum buy 3 months, 5% discount for 6 month agreements, 10% for annual. Fill out your information below and we will contact you soon!